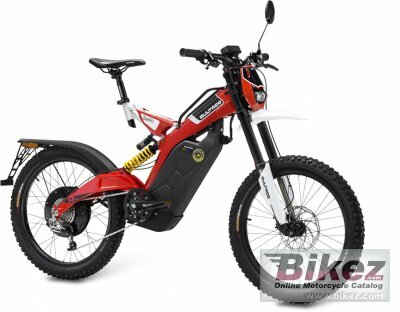 2017 Bultaco Brinco RE. Picture credits - Bultaco. Submit more pictures. The line�s sportiest model allows you to enjoy both off-road riding and public streets, without any type of restrictions. In the city, country and mountains ... there�s nowhere you can�t go. Seat height: 1,061 mm (41.8 inches) If adjustable, lowest setting. Alternate seat height: 1,164 mm (45.8 inches) If adjustable, highest setting. Ask questions Join the 17 Bultaco Brinco RE discussion group or the general Bultaco discussion group. Bikez has discussion forums for every moped. View comments, questions and answers at the 2017 Bultaco Brinco RE discussion group. You can sign up for e-mail notifications when other riders answer you. If you have extensive experience with the MC, please send us a review. If you consider buying this bike, you should view the list of related motorbikes Look at photos. Compare technical specs. And check out the rating of the moped's engine performance, reliability, repair costs, etc. You can compare the rating with other bikes.